October 13-19, 2013 is National Veterinary Technician Week! VetGirl wants to thank all the Vet Techs out there for all that YOU do! 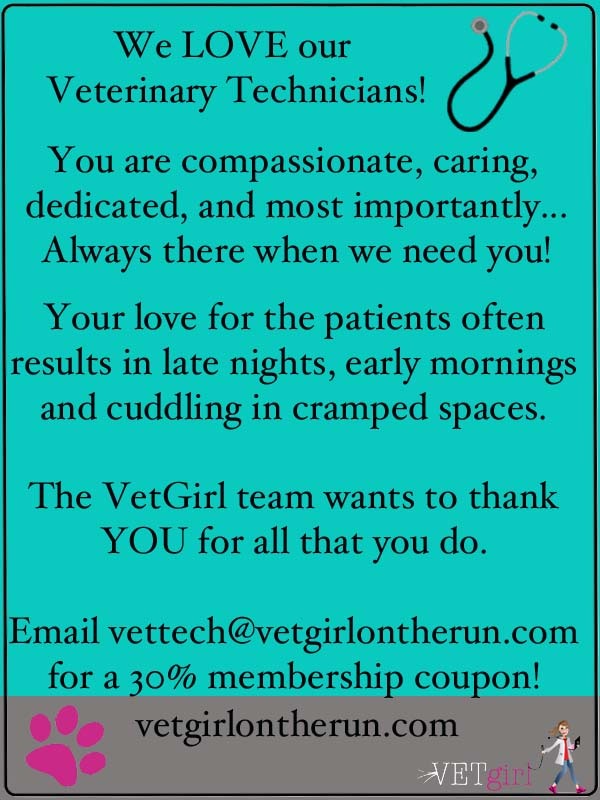 Below is information on how to get a discount VetGirl membership! We are also giving away free prizes! VetGirl water bottles and stickers!